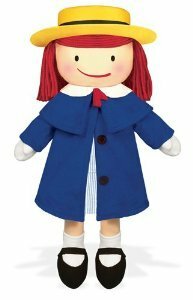 This soft and huggable 16" Madeline doll features a removable blue fleece coat, blue and white school dress, white gloves, yellow felt hat with grosgrain ribbon trim, and even comes with an embroidered appendix scar! 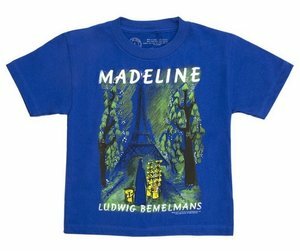 Inspired by the classic picture books by Ludwig Bemelmans and John Bemelmans Marciano. 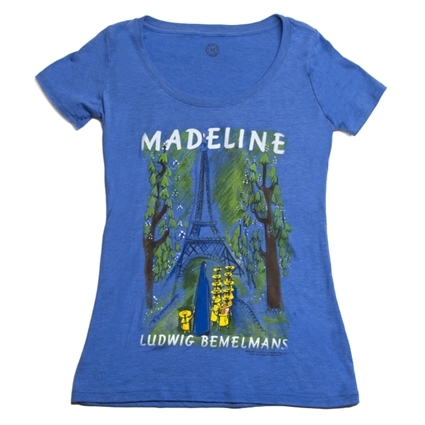 Step out in rain or shine styled as sweetly as Madeline! Lightweight and smartly foldable, this poncho is a must-have year round. Simply unzip the stylish pouch and flip out the hooded poncho. Fits easily over clothes or coats, and there's even a muff pocket to keep hands dry. 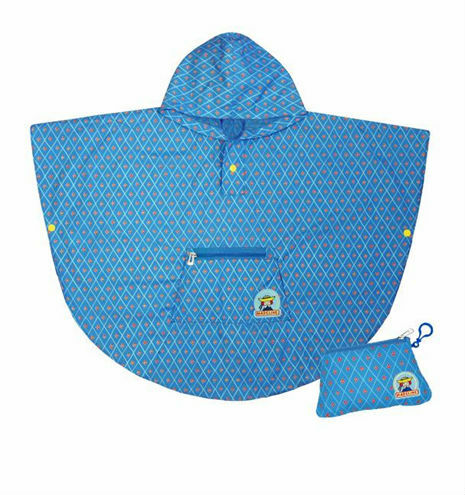 On sunny days this Madeline Poncho folds into it's original pouch and has a clip to attach to backpacks. Choose between two sizes to fit any age - Small to fit ages 3-7 or Large for ages 7 and up. Image from Ludwig Bemelmans' Madeline. Pair with the book for a perfect gift!